Brother CS6000i Sewing Machine Review - Is this machine any good? Nowadays, there is a wide range of sewing machines present in the market. Each machine comes with groundbreaking features making it very easy to use. Both beginners and experts love to get their hands on a simple machine, particularly one that is feature rich. Don’t you agree? Well, if that is what you are looking for, then Brother CS6000i Sewing Machine is the one you need. 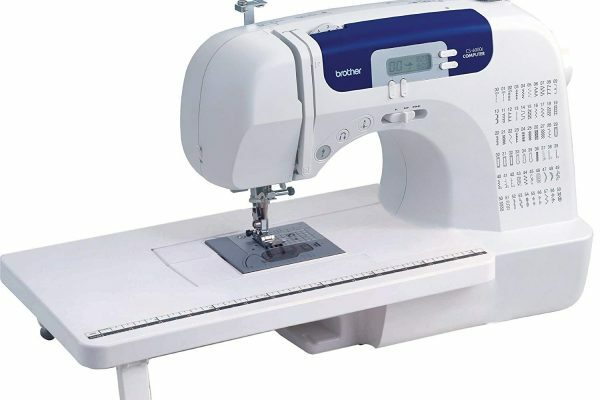 Read this Brother CS6000i Sewing Machine review to know everything about this product. This review will help in making you understand this product along with its pros and cons. 1 Why Buy Brother CS6000i Sewing Machine? 3 Where To Buy Brother CS6000i? Why Buy Brother CS6000i Sewing Machine? This sewing machine is ideal for those looking for a unique and affordable machine. 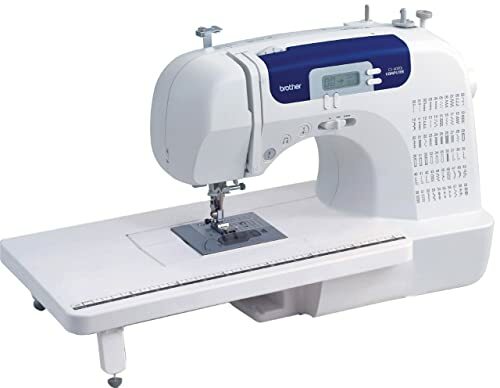 It is a low-cost sewing machine ideal for experienced sewers and beginners. With features like 60 inbuilt stitches and computer power, this machine provides your money’s worth. Apart from sewing fanatics, this machine is extremely handy in many situations. Having a sewing machine is extremely useful, and with Brother CS6000i, there is no question at all. This machine is perfect for someone with low eyesight who still wants to sew. If you lie doing sleeves and hems, then there is nothing as great as this machine. The best part? Its incredible features! Read on below to find the features of this machine and know what makes it the best. The weight of this machine is 4lbs. This sewing machine is well kitted out when it arrives. It is perfect for getting started right away! Do you want to know the details of each feature? You’ve come to the right place! Let’s look at all the exclusive features of this machine and decide whether it is worth your money or not! Due to the premium technology used to manufacture CS6000i, the setup is easy and simple. 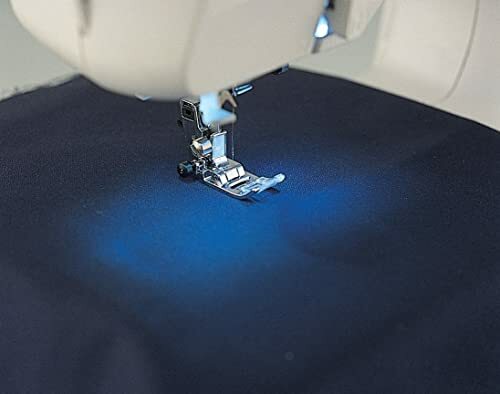 Even if you are a beginner and new to the world of sewing, this machine will make everything easy. Your work will become stress-free with the numbered diagram shown while threading. Moreover, when you start threading, you’ll be guided to the automatic needle threading system. This will help you to press the lever. Everything else will be taken care of by the machine itself. The LCD screen present on this machine is also quite helpful. It also comes with a stylus pen and allows you to ask for more options while working. This machine has the ability to handle heavy cloth material too. So, you can stitch almost any type of material with ease. Furthermore, the simplicity of this machine will make you love it. The free arm of this machine and the oversized table makes this machine an ideal choice! The adjustable speed settings on this machine make it easy for beginners. Thus, they can work on this machine at a comfortable pace. Moreover, the entire setup of this machine makes it easy for anyone to operate it without getting a headache. Most people want to know how durable the machine is before they buy it. Since Brother CS6000i is very sturdy, it is a great option. In fact, this machine can work for years before you buy a new one. But that’s not all! The noise level on this machine is incredibly low. However, it can become slightly noisy if you use it at high speed. 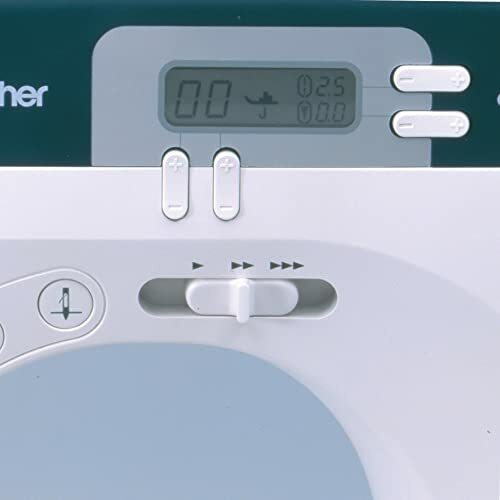 Otherwise, Brother CS6000i is quiet yet has a high-speed needle with a low bobble. This machine has quickly gained its reputation as a workhorse. The reason behind this name is that Brother CS6000i has a choice of 60 stitches. All these stitches are incredibly consistent and even. Plus, this machine has the ability to handle plain sewing tasks as well as embroidery sewing as well. Meanwhile, the price of this machine is very reasonable. This price is great as compared to other machines with similar features. Any beginner who is looking for a machine packed with features, Brother CS6000i is the most suitable one. Another feature to focus on of the machine is its ability to quilt. The Brother CS6000i reviews are full of praises of this machine’s ability to quilt. If you are not very much into quilting but want to dabble once a while, CS6000i is perfect for you. Thus, the machine is incredibly versatile. Where To Buy Brother CS6000i? The popularity and feature-rich quality of this machine ensure that it’s widely available. 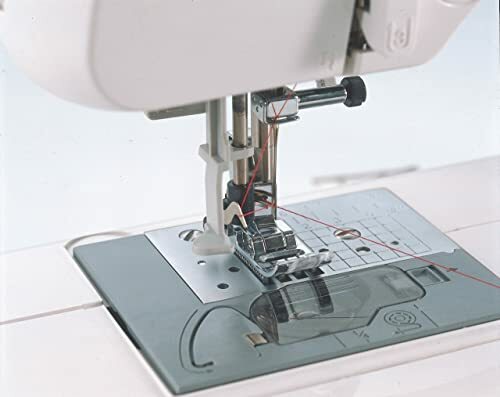 This machine can be found in almost every sewing nooks and crannies on the net. You can also buy this online from sites like of this Brother, Amazon, Target, and Wal-Mart. Brother CS6000i Sewing Machine Review is incomplete without discussing its pros and cons. This spectacular sewing machine has some plus points as well as some drawbacks. It is important to know the advantages and disadvantages before investing your money. Without further ado, read the pros and cons of Brother CS6000i. Easy to use; this machine is user-friendly, thus it is perfect for beginners. This machine has very good reviews and ratings from buyers. LCD display; at this price many manufacturers do not offer an LCD display. Lightweight; this machine is easy for even a child to carry it around. Provides you the value for the money you spend. Provides users with consistent stitches that are very even. The nine included presser feet in this machine is very commendable. This storage area for the accessories in this sewing machine is not very spacious. In fact, there is a very small opening present inside the flatbed attachment of the machine. This space is not sufficient enough to store all the accessories present. Some people also claimed that the backlight of this machine wasn’t enough. However, you can solve this problem by using a small lamp near the machine easily. We highly recommend buying the Brother CS6000i sewing machine. The reason for this is that it ensures an excellent value for your money. This is not a heavy-duty machine and so, is ideal for beginners to use in their everyday project. That’s not all! This machine also offers its customers with some quilting on the side. Apart from its reasonable price, it is also easy to use and has many interesting accessories. If you want to venture into a new field or grab an ambitious project, Brother CS6000i is the one for you!